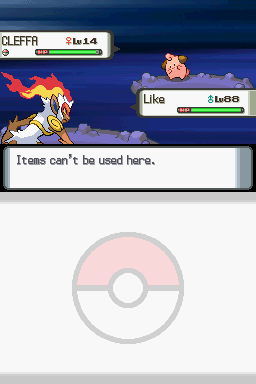 the location you spawn at when resetting the game. although I would spawn at the location I wrote the wrongwarp to. So how do I pull this off? 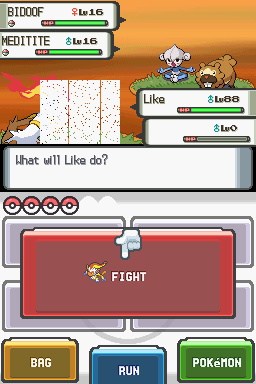 First I do the Union room Wrongwarp, doing this causes me to warp 65536 tiles too far in the Pokémon center's top floor void. a mapscript wasn't ran. Because of this the game will try to warp us to the Pokémon center when resetting the game, except the bytes it uses for this were never updated with the correct warpdata for the Pokemoncenter. Not only that, these bytes are also used for Explorer Kit locations, elevator locations and also some other less important areas. then get a partner and save reset. this will put me at the warp location of the elevator I used. Now that I can get a partner anywhere, there are a couple of important factors to take into account here. being the Amity Square Partners. 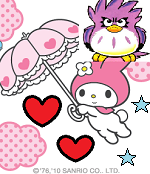 These set the flag, but never update the portion of RAM the game writes the battle data to. The battle data for partners actually never get wiped (unless resetting console) upon removing a partner, only the flag is changed. This means you can load a Partner into RAM, then get an Amity Square partner and you'll have the battle data of the Partner previously used. 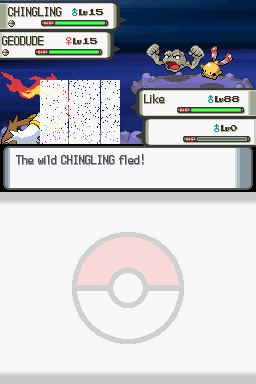 The bigger thing is that if there's no Partner loaded, battling causes glitchbattles to occur. Most of them are tutorial battles, mixed with a different battle'type'. The battles happen depending on your ASLR, so if you reset your game you will most likely get different results than last time. 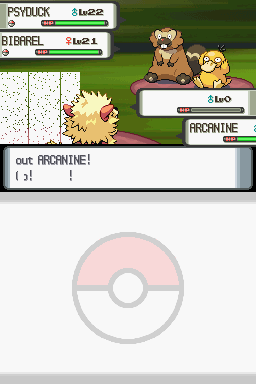 even a battle that completely overwrites RAM when entered. tweak onto water. Once we enter a baytle we meet the glitchpokemon Dpbox, also known as '-----', invisible shiny bulbasaur and MissigNo of gen 4. DPbox is purely made out of 00's. Id of 00, 0 current health, no moves (struggle), you get the point. running out of balls in the safari zone. therefore you leave the safari zone with only dead Pokémon. So do you think there's no possible way to change the ----- to a different glitch Pokémon? Though it seems unlikely would be interesting if you could use this or another glitch to have a Generation IV hybrid on the user's side. Well if there's one thing I've noticed from my time glitching in gen 4 is that the developers almost never made the game clear RAM when its no longer needed. If it reads from data that can be written to its very likely you can make a Pokémon show up. 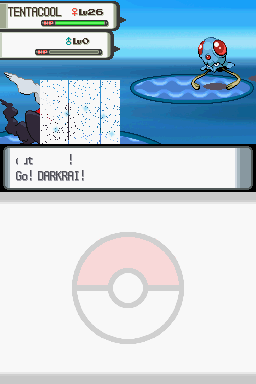 I'm currently playing around with doing Wifi battles before having the tutorial + wifi battletype hoping some leftover data can be used, even if its just for the playersprites when losing the fight. Is it possible to take Battle Tower partners outside of the BT using this ? From testing I'm fairly certain that despite showing in battle, they're not actually partners outside that. It's more of a scripted battle, same goes for the battle with barry at spear pillar. But isn't their data saved into the partner battle data ? Well they do show up in battle and fight alongside you like partners do, so it would make sense for their battle data to be stored at the same place in battle... and since you said data in gen 4 almost never gets wiped, wouldn't it be possible to make the game use their in-battle data anywhere using this glitch ? Page created in 0.359 seconds with 22 queries.